Science Objects are two hour on-line interactive inquiry-based content modules that help teachers better understand the science content they teach. This Science Object is the second of three Science Objects in the Electric and Magnetic Forces SciPack. It explores the ability of electrons to flow, producing an electric current. Negative charges, being associated with electrons on the outer edges of atoms, are far more mobile in materials than positive charges located in the nucleus at the center of an atom. In some materials, such as metals, electrons flow easily, whereas in insulating materials such as glass they can hardly flow at all. At very low temperatures, some materials become superconductors and offer no resistance to the flow of current. In between these extremes, semi-conducting materials differ greatly in how well they conduct, depending on their exact composition. 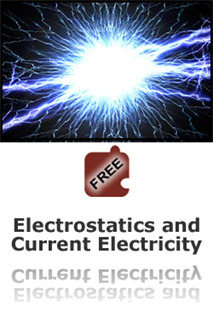 Electric currents occur when charges move through conductors. Batteries and other devices store electrical energy by separating and concentrating charges. Electrical circuits provide a means of transferring electrical energy into other forms of energy such as heat, light, and sound. I teach electricity and magnetism to my third graders and this will be very beneficial to me and my unit. thank you!